Or just $22.25 AUD today. Unlock brain focus, attentiveness, and creativity with our highly advanced focus formula, Mental Trigger. The vast majority of supplements on the market address the physical needs we demand, but finally one has come along to address our mental needs. Focus ingredients like the ones we’ve included in Mental Trigger are cutting edge chemical compounds that people from all walks of life have been capitalizing on and gaining the competitive edge on those who have been going without. 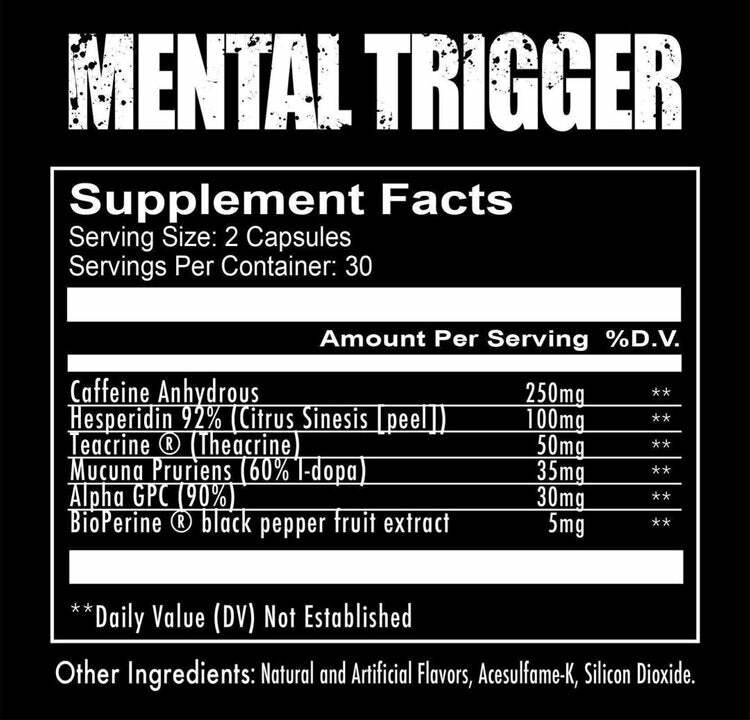 We firmly believe Mental Trigger will be one of the most widely used supplements anywhere in the world. Whether cramming for a big test, preparing for a job interview, or reaching next to impossible deadlines – Mental Trigger - it’ll have you ready and where you need to be when it counts the most. Great for studying or for focusing during your workout at the gym!